Did you fail your Emissions Test? We are a State Certified Emissions Repair Facility. We can help you with any repairs that are necessary, and/or help you with the waiver process. Give us a call for an appointment, and don’t forget to bring you paperwork. Why won’t my engine turn over? Why won’t my engine turn over? When we get asked this question, which is quite frequently, we need to ask a few more questions. Is there any sound when you turn the key to start? What sound does it make? Does it just click or is there a grinding sound or is the car just silent? A few quick checks will determine why an engine that won’t turn over and/or a no start issue. 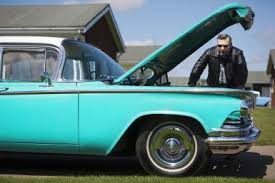 If you need anything from a battery to a starter or fuel pump, we can service and maintain your vehicle so that you may own it for as many years as you would like. 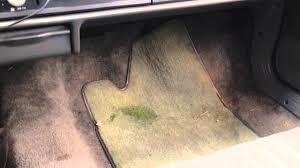 Have you noticed that your vehicle is suffering from wet floors, especially on the passenger side? That could quite possibly mean that your heater core is leaking. You are going to want to get that looked at sooner rather than later, as the Heater Core is what supplies the heat in your vehicle. Give us a call, we will get you in as soon as possible, and make sure that you stay nice and warm this winter. We are proud to be participating in the Don’t Drip and Drive program in our state. It is being supported by the Washington Department of Ecology. What this means for you as the customer, is that we will provide you a FREE visual leak inspection, plus if we do find a leak, you get 10% off your leak repairs. (up to a $50.00 discount). 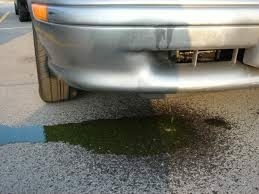 Leaking fluids of any type are not good for your vehicle. Fluids can get on belts, brake pads, exhaust and really interfere with their performance, which can make for even more costly repairs. So if you are noticing spots or puddles of some type of fluid or liquid on your driveway or garage floor, come in for your FREE inspection, and let’s stop that Drip!! A few weeks ago I joined the neighborhood Facebook page for the area that our shop is in. I am a member of the neighborhood page for where we live, but I thought it might be a good idea to join the page for where our shop is located. I am so glad I did. The first time I posted it was concerning a homeless young man, and I was reaching out to the community to see if anyone knew him, or was missing him. The response was unbelievable. Everyone wanted to help, a very nice lady even stopped by and dropped off a backpack full of clothing, food, water and other supplies. I was overwhelmed. The next time I posted, it was because we had customers that were way overdue to pick up their vehicle. They are elderly, had gone on a vacation, and had told us the date they would pick it up. Well that day came and went, we called and texted numerous times, with no response. So I posted asking if anyone knew them, and if so were they alright? Again the response was overwhelming. One gal even called the shop and suggested I call the non emergency police number and have them do a wellness check. Which I did, the police contacted them, and thankfully they were okay, and had just gotten home. Seems they had just extended their vacation by a few days. Yesterday a lady posted that she needed help with her van, as it wouldn’t start. She was a single mom of two boys, one with special needs, and a very limited budget. I responded to her letting her know that if she could wait a day, we could have the vehicle towed to our shop and see what is going on with it. She was so very thankful, I was happy that we could help. Not more than 5 min later I get a message from a long time customer that is also on that page, saying he wants to be her Secret Santa…I was overwhelmed, as this gentleman had just lost his wife to cancer a week ago. I messaged him back telling him, that I was crying, and that with everything he had just gone through, this was over the top. He said it made him happy to be able to help, he wanted to be her Secret Santa. I had spoken with her on the phone, and I could tell by her voice that she was stressed out about the money, being on disability her income is quite low. So I posted that she didn’t have to worry about anything at all, as she had a Secret Santa, her bill was covered. The response was out of this world. The posts from strangers, thanking me and the Secret Santa, were overwhelming to say the least. I was in tears for most of the day. I told her that I was so glad that she had the courage to ask for the help she needed, and that by doing so, it had touched so many lives, and had made so many people feel good (over 100 views). I was so glad that we were in a position to help her, so happy for her Secret Santa, that he gets to do something to make himself happy. The comments for the people in the community were amazing. In doing these three posts it also let people see that even though we don’t live here, we do care about the people that do. It gave them insight to who we are and how we do business. We had a new customer today, because of these posts. Although business was the last thing on my mind when I made these posts, as one person posted “I will be bringing our vehicles to Long’s from now on, what goes around comes around”. I will continue to be active and show that we truly care, in doing so we will build trust, and relationships with the people that are in this community, which in turn will help our business grow from the heart, which is how it should be. I am so very grateful to be in this position, to help those that need it, and to meet more and more of the kind and compassionate people that live here. 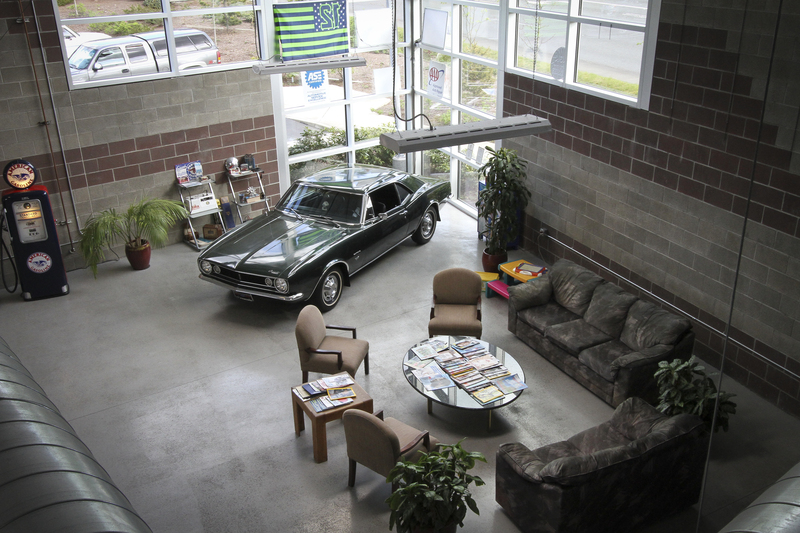 Are you looking for an Automotive Repair and Maintenance shop in Woodinville? If so, we would love to be that shop. We offer after hours drop off and pick up. We have a local Shuttle service, a very nice waiting area, with coffee, water and snacks, and a child’s play area. We are also a dog friendly shop, so bring your pooch with you. We are the only AAA certified shop in Woodinville. So stop on by and see our shop, and meet us. Hopefully we will be a great fit for you!! 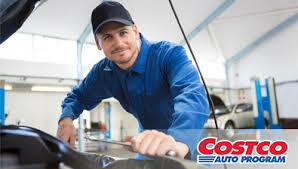 We are so very proud to announce that we are now a part of the Parts and Services program at Costco!!! Costco wrote us a letter asking if we would be interested in being the one and only Independant shop in our area to represent their program. After I picked myself up off the floor, I called and said “Of course, we would be delighted.” What this means is that Costco members can go online, enter their vehicle information, and search for a shop, and in this area we will be the one that pops up. To have Costco reach out to us, was beyond flattering. They let me know that they are very particular in their choosing of shops to be part of this program. They want to make sure that the shops have a good standing in the community, do good business, and have been around for a while. We went live Monday morning, and within 45 minutes we had our first call. We couldn’t be happier to have our business associated with a company as great as Costco. Are you looking for a local automotive repair and maintenance shop to take your vehicles to? If so we would love to be that shop. We have been in Woodinville for 30 years. We are family owned and operated, plus we are the only AAA shop in town. We are also state certified to do emissions repair. We welcome you to come by our shop and meet us, our staff, and see our facility. We treat our customers with the utmost respect, we know how important your vehicles are to you, and treat them as such. So next time you are in the area, drop on in, we would love to meet you. Did you fail your Emissions test? If so we are a certified emissions repair facility. Call for an appointment, and don’t forget to bring the paperwork from the emissions test facility. We need to have that to sign off on, plus you will need to take our receipt back to the test facility to be able to get your tabs. Whatever you choose to do, either have your vehicle repaired, or get a waiver we can help you out.